Andy Bica, the founder of Peren and myself, we share the same origin, we were both born in Transylvania. I was really happy to discover his brand, when he presented his debut model, the Classic Chrono, on Kickstarter. The watch was well received by the community and he surpassed the funding goal by multiple times. Andy built the brand ethos of Peren around the mythical region of Transylvania, a place of cold castles, hidden in dark forests, where the uninformed travelers disappear without any trace. OK, at least, this is how Transylvania is imagined by many, thanks to Hollywood. The first Peren, the Classic Chrono had a rather generic look, but with the second model, I think Andy managed to create a truly Transylvanian timepiece, the Son of the Dragon (SOD) chronograph. 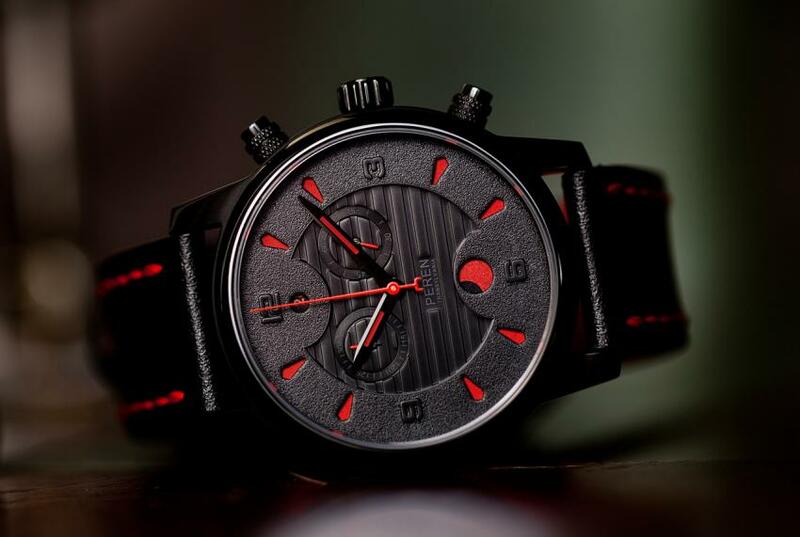 The SOD chronograph is inspired by probably the most famous sons of Transylvania, the legendary Prince Dracula. 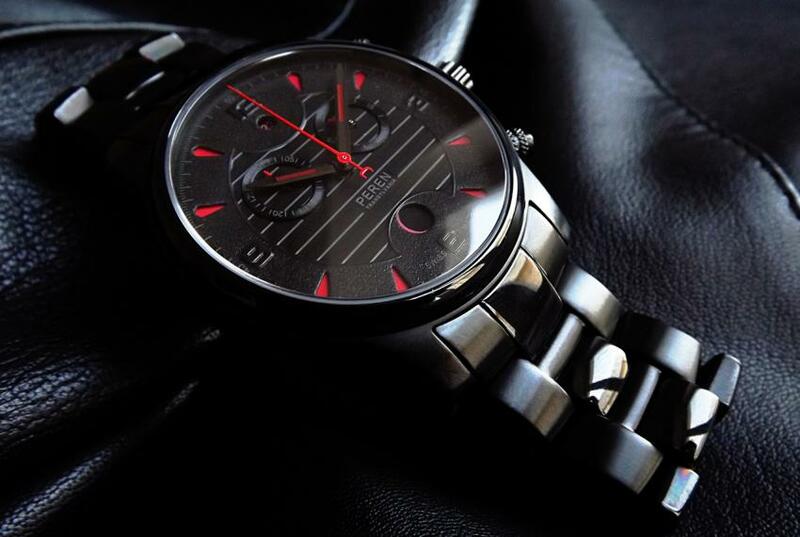 The black stealth theme of the SOD is only interrupted by blood red accents, giving the chronograph a mysterious look. I’m particularly fond of the layered dial and the idea of using a moonphase complication, they both fit perfectly the SOD concept. For more details, pictures and to reserve your Peren SOD, visit the campaign page at http://kck.st/1ZgG8Ge.